What do they do with all the Poo from all of the Animals at the Zoo? The hippos, the tigers, the kangaroos - what do they do with all that poo? 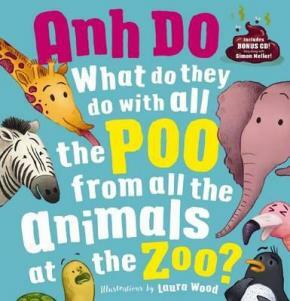 There's so much poo at the zoo... Where does it all go? Do they mix it into chocolate ice-cream? Sprinkle it on pizza? Stir it in the local swimming pool? With the hilarious bonus CD recording, you can sing along in search of the stinky truth.